The JF-U 3-in-1 wireless flash trigger and remote control series is a versatile and reliable equipment that will trigger remote flash units off-camera and studio lights up 30metros away. 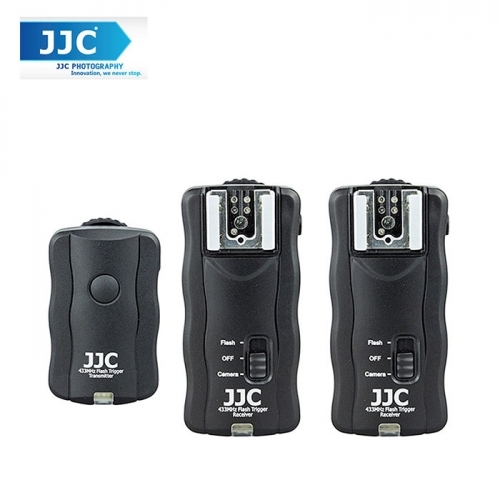 The JF-U Series also offers the convenience of a wireless camera trigger, ideal for photographing wildlife, and also for macro and close-up photos, in which a slight camera movement can ruin a photo. The receiver includes tripod mount 1/4 "